Situated in the heart of downtown Frankfurt, the Messe Frankfurt Exhibition Center and Trade Fair Grounds is a bustling event site that hosts over 100 showcase events each year. Opened to much acclaim in 1909, the trade fair ground's oldest building is the Festhalle Frankfurt, a spectacular steel and glass dome arena and concert hall. Covering 578,000 square metres, the complex is home to ten exhibition halls, two Congress Centers and a convention space, making it one of the largest exhibition destinations in the world. Since the Messe Frankfurt Exhibition Center and Trade Fair Grounds opened, the popular event destination has played host to an array of celebrated world events, including the Frankfurt Book Fair, the Frankfurt Motor Show, the ACHEMA engineering congress, and the exclusive international Automotive Engineering Show exhibition. Where can I find parking At Messe Frankfurt? Messe Frankfurt offers more than 15,000 on-site parking spaces in the Rebstock multi-storey car park and the surrounding facilities. Many events provide a convenient, free shuttle bus service that escorts visitors directly to and from the exhibition grounds. Visit the map for detailed directions and parking information. Where can I find a map of the exhibition grounds? 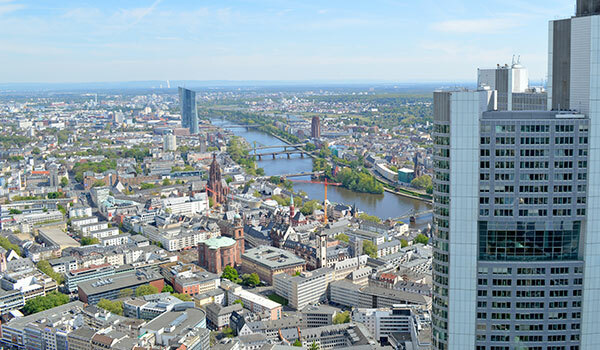 Situated in the heart of the city, near Frankfurt Central Station, the exhibition grounds at Messe Frankfurt are easily to reach by any type of transport. The grounds are comprised of ten halls spread over more than 578,000 square metres of indoor and outdoor exhibition area. The facilities feature four different entrances, accessed via tram, bus or moving walkway system. Visit the website to find the entrances open for your specific event.